Adaptable cover for roof lights on trapezoidal and standing seam roofs. KEE COVER skylight cover has been specifically designed to provide an effective solution for covering unprotected roof lights without blocking out the light they are supposed to let into a building. Falls from height are a major cause of accidents and unfortunately falls through skylights happen so often. All building owners have a duty of care to ensure workers who need to access a roof are safe. 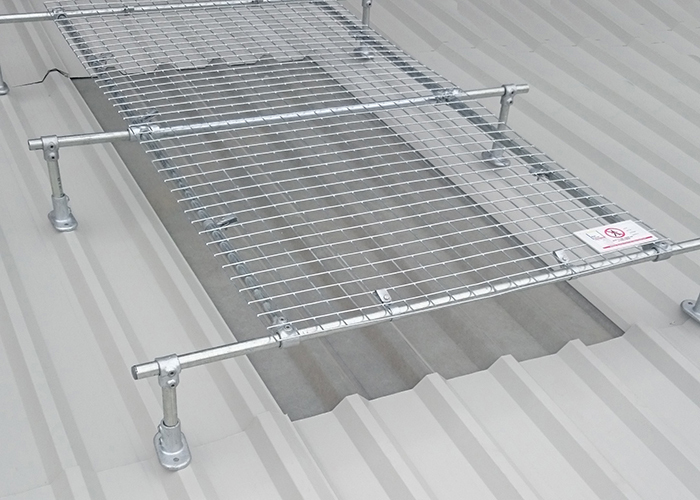 KEE COVER provides protection against falls through fragile roof lights. Skylights are covered by a strong mesh panel mounted onto a metal frame. KEE COVER has been designed specifically for metal profile roofs where inline roof level skylights are common. The mesh panel top sits onto a metal frame made from KEE KLAMP fittings and tube. The standard mesh panels are 2m long and 1m wide. For larger roof lights we offer extension panels, either 2m or 1m long x 1m wide. 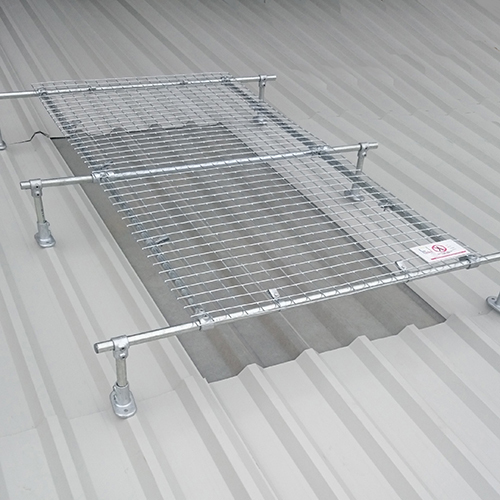 The KEE COVER is designed to be assembled in-situ so is delivered in component form, thus making it easier to get up to roof level. KEE COVER roof lights covers are available in two formats. Standard Panel fixes virtually flat to the roof surface. Raised Panel is raised above the skylight which is mounted on small legs to give a greater distance between the mesh panel and the roof light. In the event of a fall this would help ensure the roof light is not damaged when the KEE COVER absorbs the impact. KEE COVER roof light covers have been tested to the Class B criteria and loadings required in the ACR Red Book Test for Non-Fragility of Roof Assemblies. An additional 1200 joule test has been carried out to BS EN 1873. KEE COVER meets both of these test criteria. Get your individual quote now!